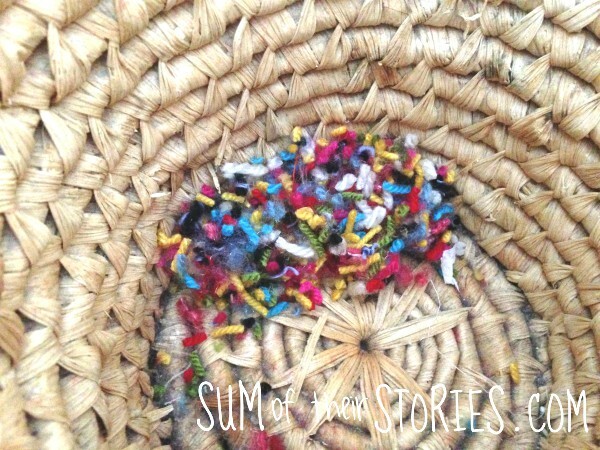 Just to let you know Sum of their Stories has moved. 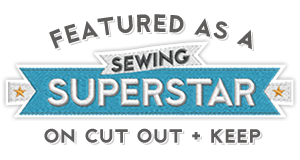 You can find all the usual craft ideas and inspiration here: Sum of their Stories Redirects are in place but if you have ended up here please click through to the new site for much much more. The 30th November was my nan Pearl's Birthday so today I'm remembering her by sharing some thing she made that I still have. My nan Pearl was my mum's mum and was a proper maker. 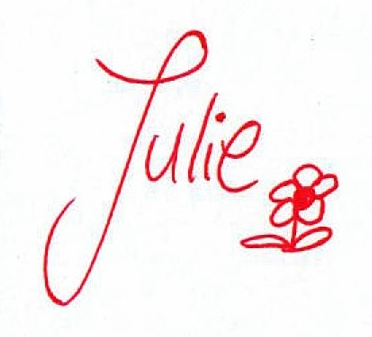 She made everything she could and buying from the shops was a last resort for her. I've shared photos of something she made ever year on her birthday since Sum of their Stories began. This year it's a crochet baby blanket she made before I was born. 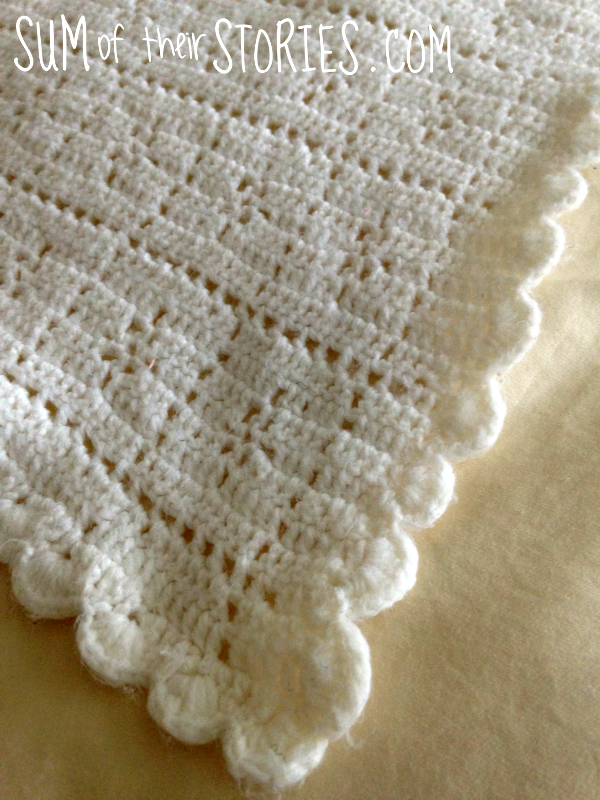 It's a classic design which people now call the "Call the Midwife" pattern. Call the Midwife is a UK TV show set in the 1950's/60's and the super talented Rebecca from Little Monkeys Crochet saw a baby blanket on the show and couldn't find the pattern so recreated one. You can find her pattern here. The modern versions of the pattern tend to have bigger holes making the flower pattern than mine, I don't know if that's a pattern difference or just the way my nan crocheted. The blanket my nan made is quite large, it measures 50" x 60" and is finished with a pretty shell border. It's been used and therefore washed A LOT so it's a little bit matted and bobbly now but a bit of an heirloom. And just as a final treat for you, here is a photo of me lying on my blanket in 1970! So today I'm remembering Pearl, my nan who loved to make things and taught me so much. But not how to crochet sadly. She did try but for some reason I was resistant. It wasn't until years later when I learnt from a book that I realised what she was on to. I should have listened to her....she was a wise woman! 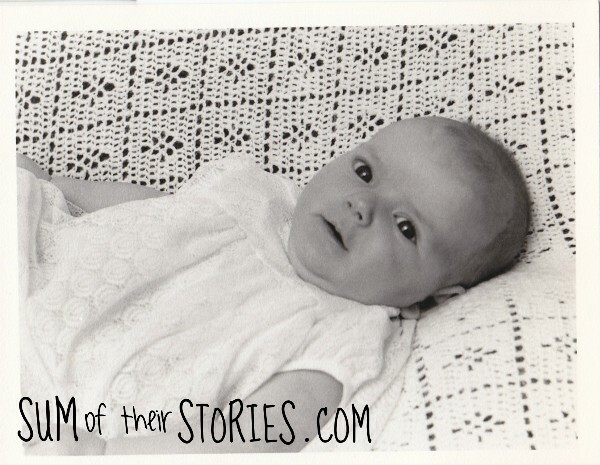 You can find more photos and stories of the creative woman in my life who inspired Sum of their Stories here. 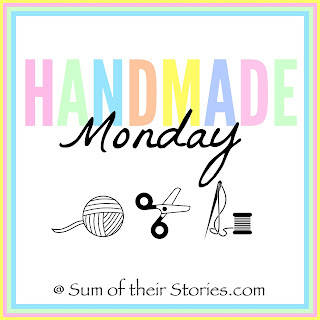 Hi and welcome to Handmade Monday. 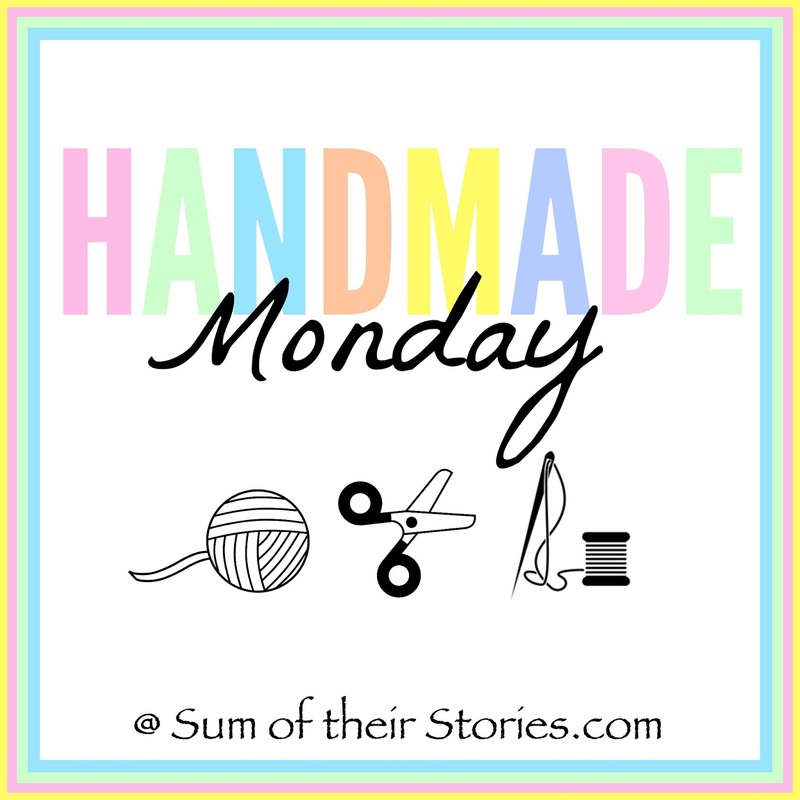 Handmade Monday is our weekly craft link up, a chance to share our makes, bakes and other handmade craft ideas and find some new inspiration. Have you had a good week? 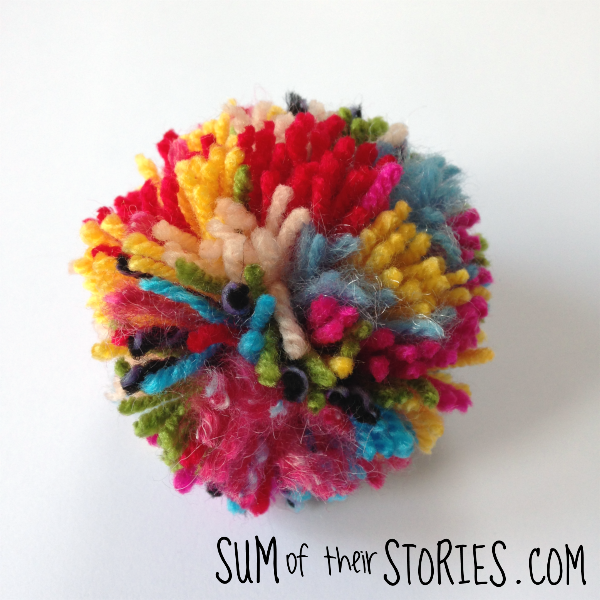 I had fun making muticoloured rainbow pom poms to brighten up some grey crochet hats. 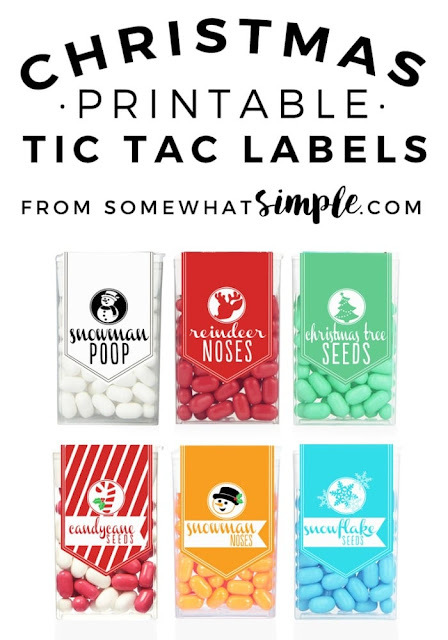 I love these cute, modern printable tic tac labels from Somewhat Simple. 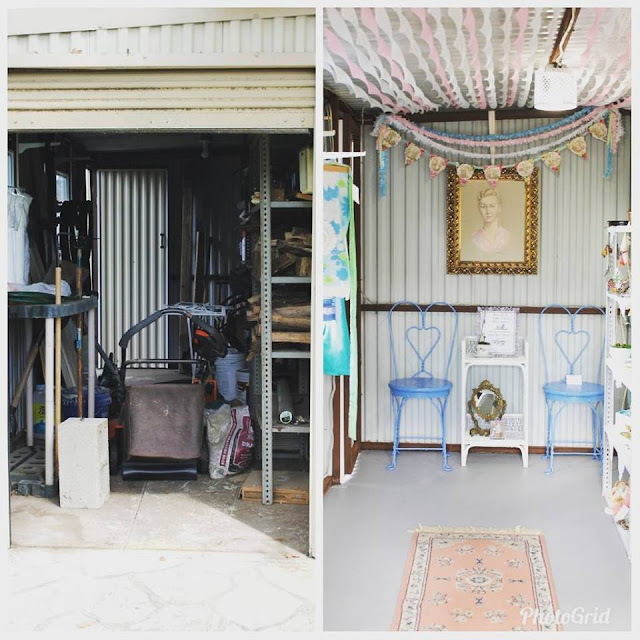 Did you you see this A-MAZE-ING shed makeover from Decor to Adore? 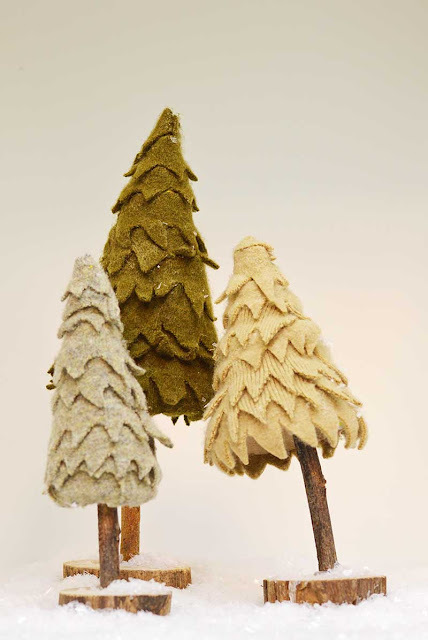 Christmas is coming - are you even close to ready (I'm SO not) How about making these lovely tree decorations made from old felted jumpers by Pillar Box Blue. Congratulations to you all, here is a "Yay! 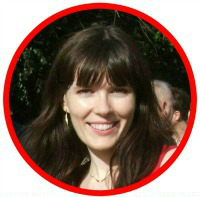 I was featured" button for your blog. 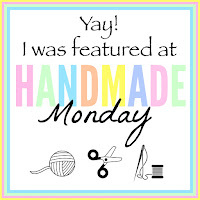 Handmade Monday is all about building a craft community, so please take a few minutes to visit some of the other links, leave a comment, and maybe share your favourites on the social media of your choice if you can. If you like to join Handmade Monday regularly do consider joining our super friendly Facebook group. Did you make it? Yes - hooray, we'd love to see it! Add the link to a specific blog post, not your main site URL. Link up to 3 posts each week. Mingle - visit some of the other links - comment - share - let's support one another and grow our craft community. If you're not sure on anything, more information can be found here. 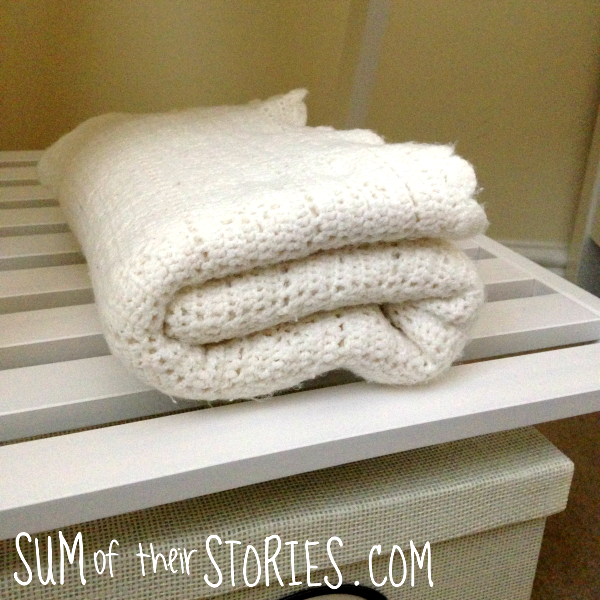 What do you call a snug fitting pull on wooly winter hat in your part of the world? Earlier in the year we went to Canada and discovered that there they are called 'toques' or is it 'touques'? 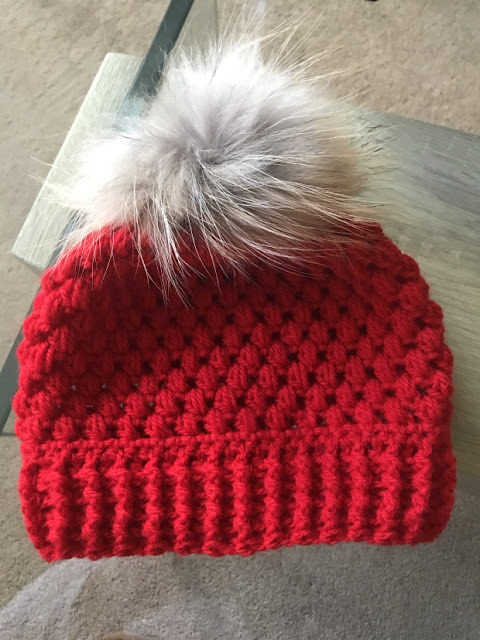 I am familiar with the US 'beanie' as that's what we call them here in the UK - unless they have a pom pom on top and then it's called a 'bobble hat'. Whatever they are called, they are a cold weather essential and they are a lovely thing to knit or crochet. 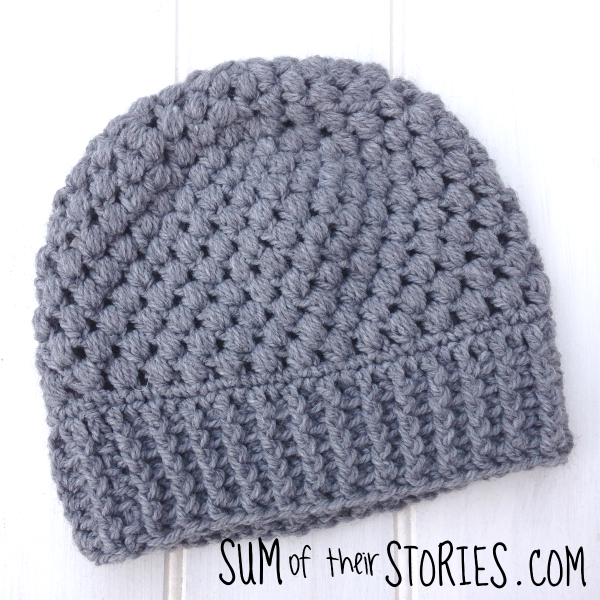 I prefer to crochet hats, anything round is much easier to crochet in my opinion, and with a fairly substantial yarn you can whip one up in an evening. 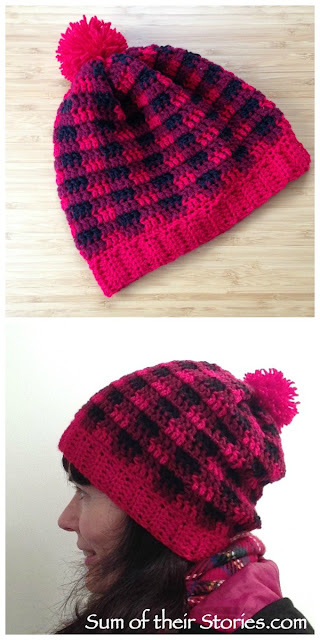 I thought I'd share a few of my favourite crochet hat patterns, the ones I've actually tried out and had success with. 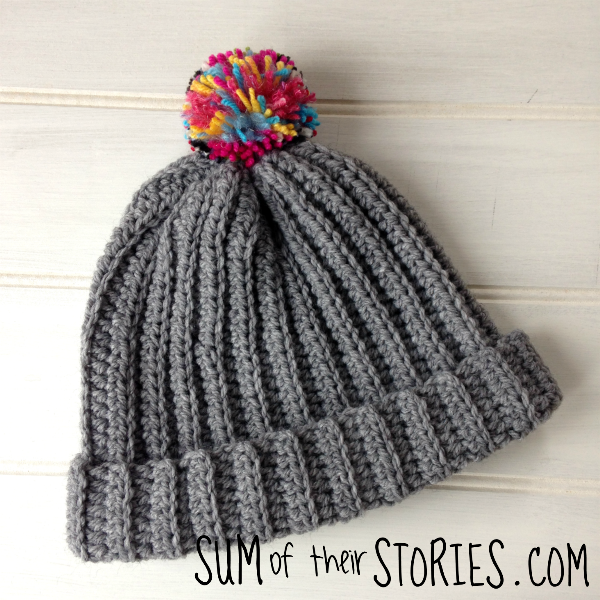 I LOVE this puff stitch beanie pattern from The Wee House of Crochet. 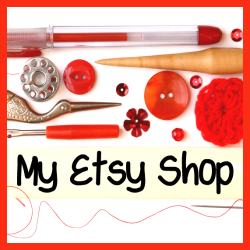 It is perfect for someone who is a beginner, maybe someone who has only done granny squares up to know. 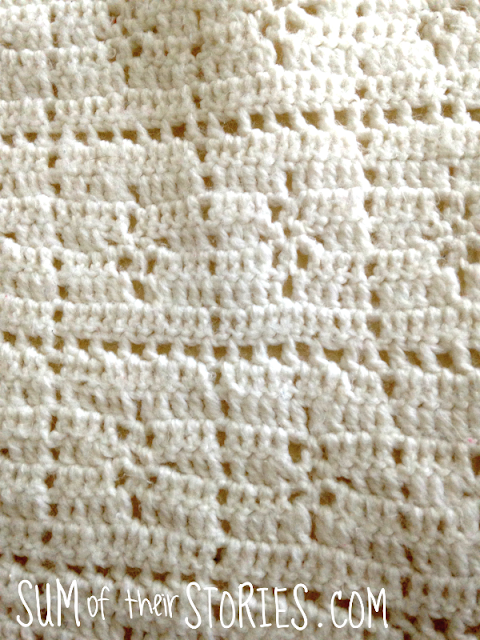 It's a great chance to expand your stitch repertoire but it's still a simple pattern to follow. I made mine in an grey Aran yarn I picked up from Aldi, but any worsted or aran weight would work. Lovely with a pom pom or without. Doing a rib effect with crochet is actually really easy. 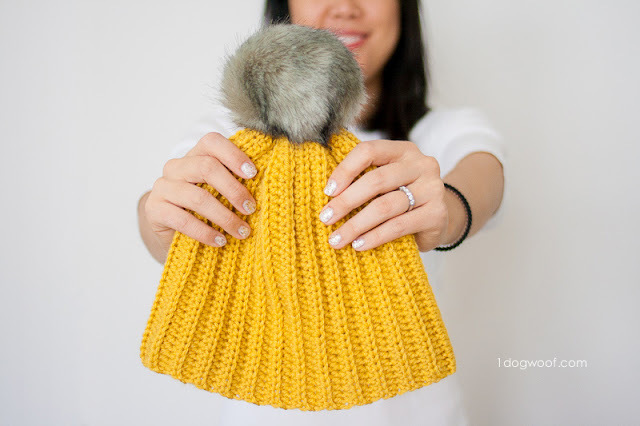 This cute Lolly-Poms Easy Ribbed Crochet Beanie from One Dog Woof is a great pattern to practice the technique. I made this in the same Aldi yarn but again any aran or worsted will work. 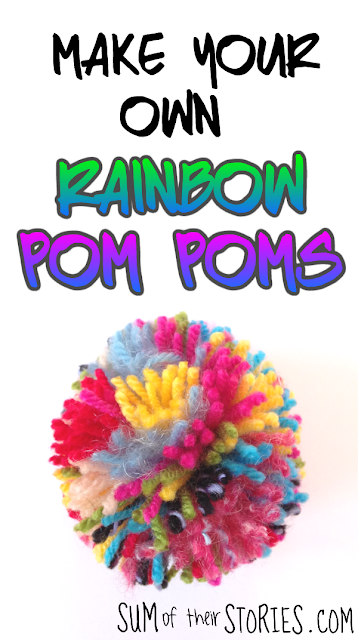 As you can see, this is the hat I made the rainbow pom pom for. Find out how to make them (it's easy) here. 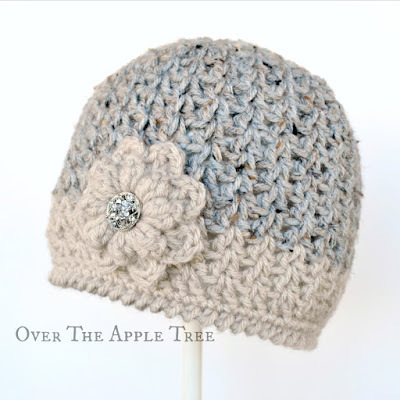 The last hat I've made in this grey aran yarn is this V Stitch Beanie from Over the Apple Tree. Mine looks a slightly different shape to the original pattern but I think that's just the way it's lying on the table. 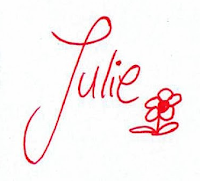 The flower pattern I used is this free one from Mollie Makes Magazine, it's one of my favourites. 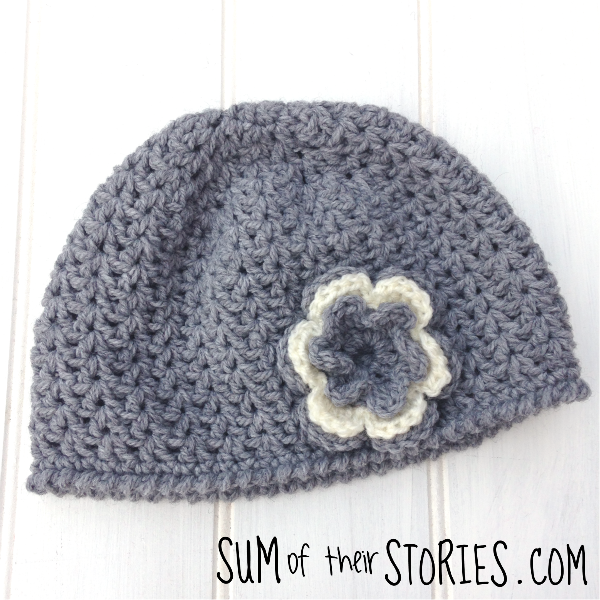 This was another 'simple to follow' pattern and I love the little edging which was another new stitch for me to learn. 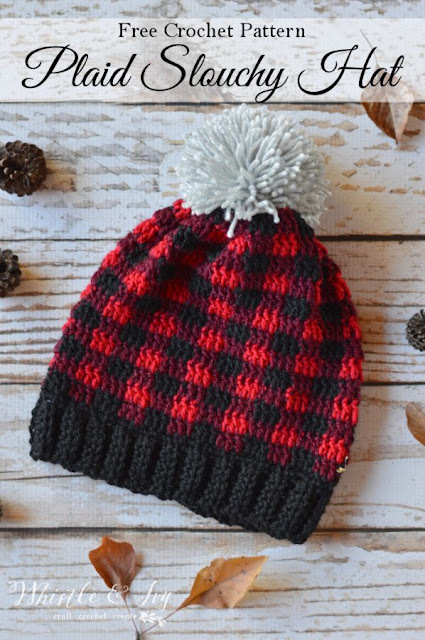 Another of my favourite free crochet hat patterns is this lovely plaid hat from Whistle and Ivy. I made a version of this for myself last year and it became my go to for every cold day. The pattern for this is for a worsted / aran weight too but I made mine using DK which is a little thinner and it turned out just fine. 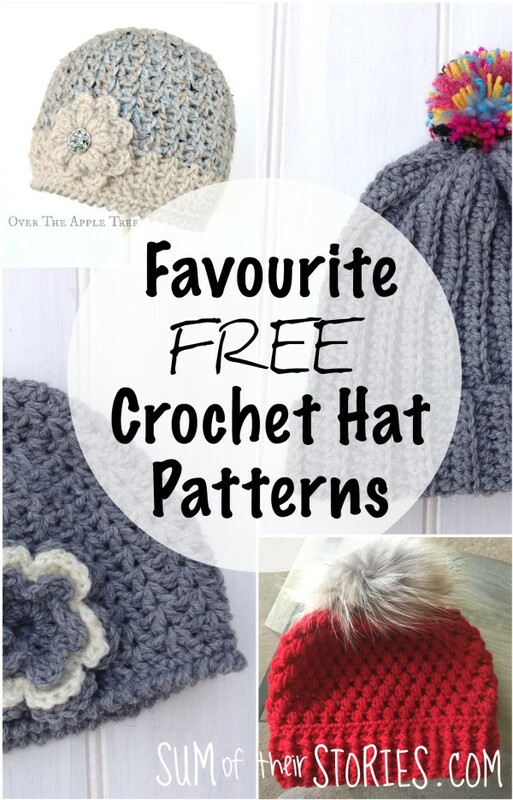 Have you got a fabulous free crochet hat pattern you'd like to share? Add it to the link up below. This is easy and quick, let's get stuck straight in! 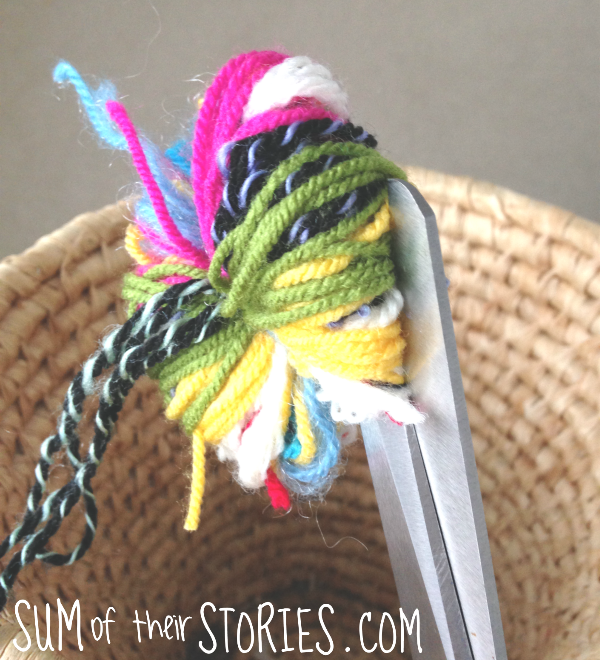 You will need: Sharp Scissors and Yarn, wool whatever you call it you'll need some different bits and pieces in a few bright colours. This is what I pulled out of my stash. 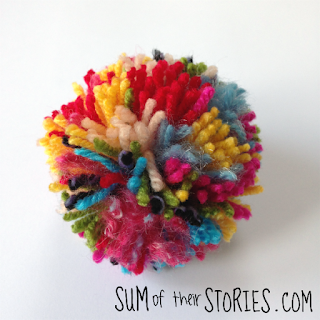 You don't need this much - there is enough here to make about 30 pom poms! 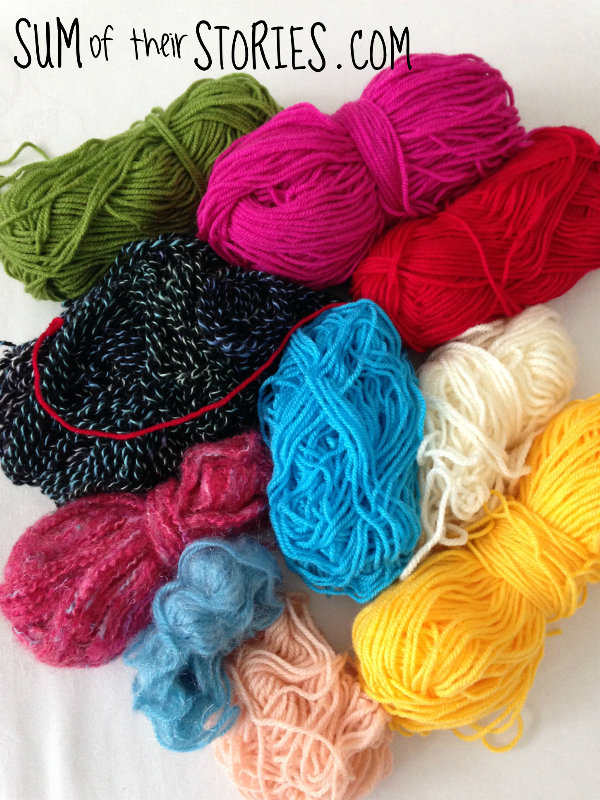 Just use up scraps, it doesn't matter what weight the yarn is, if it's fluffy or textured, it all works just fine. 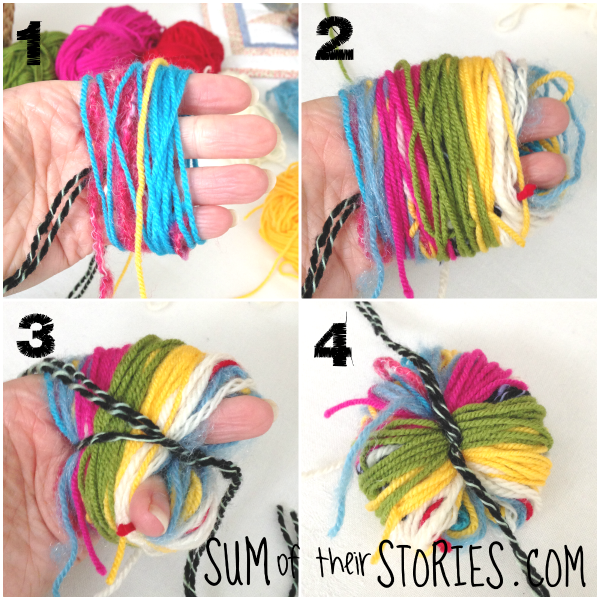 Cut an arm length of one of your yarns. Choose a strong acrylic one (one that doesn't snap when you really pull it) Double it up and lay it between your middle finger. Now start wrapping your different coloured yarns. Do between 8 and 10 wraps of each then change (1). Just leave the ends dangling. Stop when it looks a bit like photo(2) The more you wrap the fatter the pom pom will be. Pull the length that you left between your fingers together and knot (3). 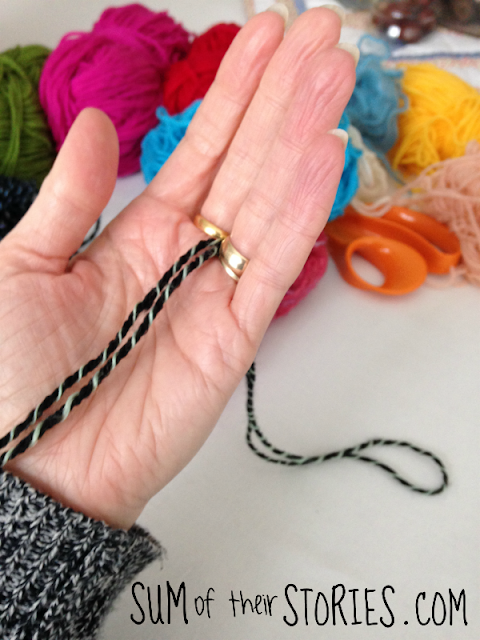 Pull it as tight as you can then slide the bundle off your fingers (4) Pull the knotted yarn really tight and knot again. Wrap it round the bundle a couple of times and knot again. 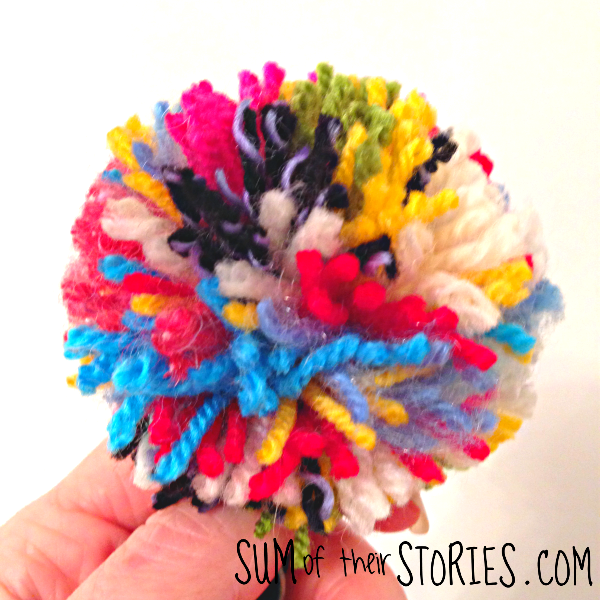 Holding the pom pom by the long lengths of yarn cut the loops on both side. You should have something that looks like this, a bit messy but nearly there. Now grab your sharp scissors and start to trim. 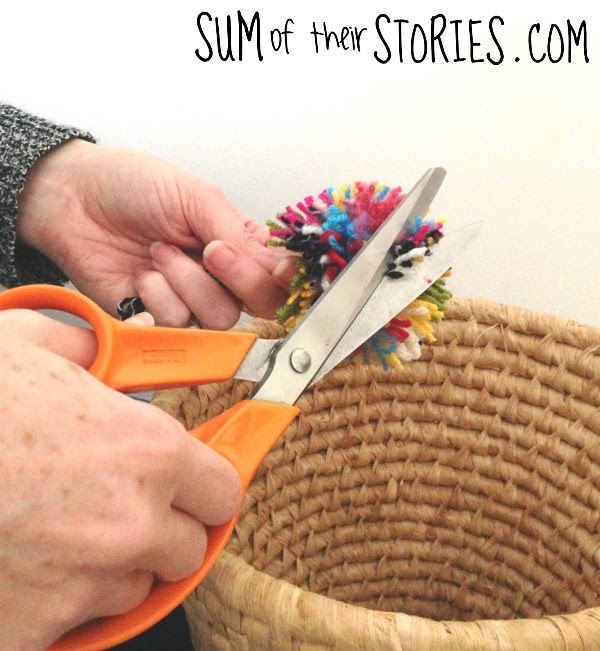 Hold the pom pom over a bin to catch all the little bits. Trim a bit, give it a shake, fluff it in your hands and them trim a bit more until you are happy with your lovely rainbow pom pom. 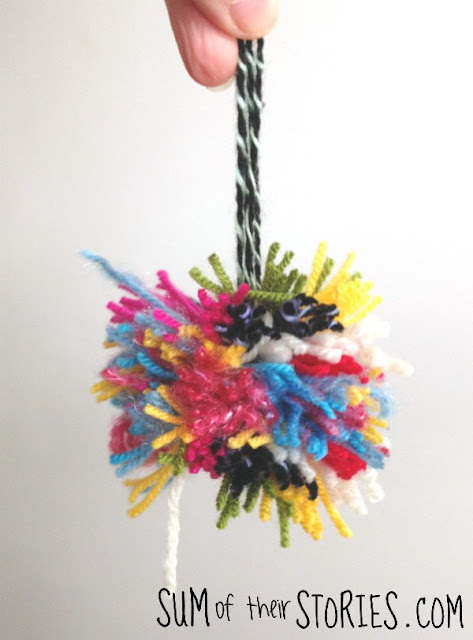 I suppose how big your pom pom ends up depends on how big your hand is, I feel my hand is pretty average grown up lady size and my finished pom poms are about 2.5" (6cm) in diameter. The content of this blog is protected under copyright law. Please do not edit or remove watermarks from photos. However linking to my blog is perfectly acceptable... so please link away! One photo is fine with a link back. I'd love it if you would let me know about any linking though, just pop a comment on the post or send me an email, then I can come by and have a look.